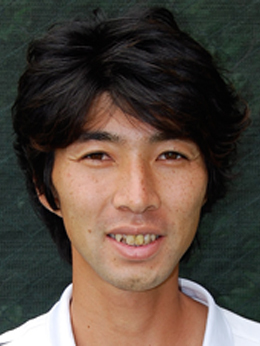 Yoshida is a certified tennis professional of United States Professional Tennis Association (USPTA) and Japan Tennis Association (JPTA) and is the only Japanese coach who has ITF Level 1 coaching certificate. Yoshida earned the highest rating of JPTA coaching certificate by passing the S - Grade course. In Japan, only S - Grade coaches are the only group of coaches that are certified and allowed to coach the Japan National Team. He was the former head Coach of Mongolian Tennis Association and Samoan Tennis Association. 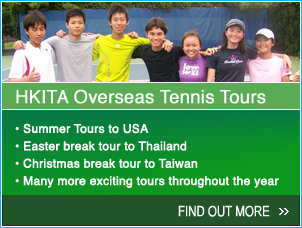 Moreover, Yoshida was the tennis director of Drysdale / Kim World Tennis Academy at Weston Tennis center in Florida, USA. In his 10 years of coaching experience, Yoshida had taught tennis in over 10 countries (Japan, USA, Mongolia, Kenya, Samoa, China, Thailand, New Zealand Kazakhstan, Russia and Australia) for both players’ development and recreational tennis. Masahiko Yoshida was born on 1st of December 1977 in Osaka Japan. From 1997 in his home city Osaka, when he was university student, Yoshida started teaching tennis at Esaka Tennis Center. Esaka Tennis Center is one of the best tennis facilities in Japan that has over 3000 tennis members. Under Esaka Tennis Center’s strict, systematical working regulations and more experienced coaching staffs, Yoshida was able to learn the fundamental of tennis coaching method of USPTA and JPTA. In his 4 years working there, Yoshida was appointed as an assistant coach for coaching clinics of famous world-class professional tennis player; including Kimiko Date, Shuzo Matsuoka and Ai Sugiyama. From 2002 April, after 3 months of cross cultural and Mongolia language training, Yoshida was dispatched to Mongolia Tennis Association (MTA) by the Japanese government for Official Development Assistance (ODA) to Mongolian government. He was appointed as the head coach and advisor for MTA that at that time had only 15 balls and 7 tennis rackets for about 30 players. His first work with the MTA was making tennis balls using newspapers and scotch tape. Under those hard conditions, Yoshida was able produce a few players that participated in ITF tournaments. During his two and half years term, besides every day’s players practice, Yoshida held many national coaching seminars, improved national tournaments and designed players’ development system. As a result, one of his players was the singles finalist of ITF 14 and Under Asian Junior Championship Zone II held in Myanmar 2004 (B.Munkhbaatar). Yoshida also translated and published Level 1 ITF Coaches Manual to Mongolian language to give the coaches the opportunity to develop their coaching skills. From September to December of 2004, Yoshida’s inquiring mind of development tennis took him to Kenya in East Africa. Yoshida trained junior players at Sadili Oval Sports Club Nairobi through United Nations Environment Program (UNEP). He helped teach tennis to all levels including the girls’ development tennis class to develop girls’ tennis and sports to correct sexual discrimination in central east Africa. During his time in Kenya, Yoshida also trained national junior players of Kenya, Zimbabwe, Zambia, Burundi, and Tanzania. In 2005, the Japanese government dispatched Yoshida to Samoa Tennis Association (STA) for Official Development Assistance (ODA) to Samoan government. As the first trial for over 30 years of Samoan tennis history,　Yoshida was given the responsibility to establish group lesson programs with Samoan coaches for development tennis. In addition, as the national head coach, Yoshida coached the national team and traveled to tournaments around Oceania region, including Australia and New Zealand. Yoshida’s coaching with the STA was highlighted by the team’s success at the 2005 South Pacific Game where the Samoan team won 1Gold, 6 Silver and 2 Bronze medals, and one of Yoshida’s pupils, Steffy Culthers, was selected as a team member of ITF Oceania team that traveled to Australia and New Zealand. Steffy was also the girls’ finalist of 14 and Under at ITF Oceania Junior Championship 2006 and Winner of 14 and Under at Auckland Christmas Junior Tennis Championships 2005. From November 2007, with outstanding and unique world wide experience, Yoshida is going to try to improve Asian tennis standard through launching new tennis programs and coaching educations as an elite coach.